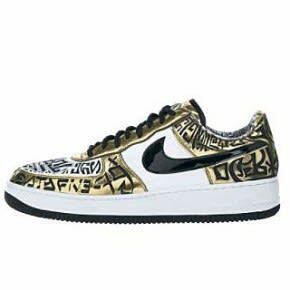 Nike Air Force 1 "Gold Turtle (Entourage)"
"I was watching Entourage for a minute before they did this joint, and these were a hard shoe to get. When I heard that a few pairs were made for other people, I knew I had to get a pair. It took a few years to get them, and these probably top the list for the most I've ever spent on sneakers. I dropped almost a car note for these."